The American Express Blue Sky doesn't preform as well as other competitors in the 'no-annual fee' credit card sphere. 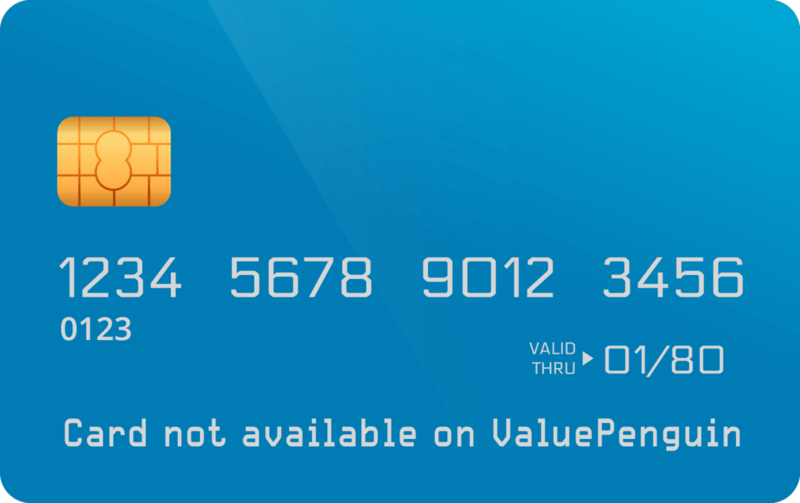 The information related to the American Express® Blue Sky has been collected by ValuePenguin and has not been reviewed or provided by the issuer of this card prior to publication. Terms apply to American Express credit card offers. See americanexpress.com for more information. The Blue Sky Credit Card is American Express entrant into the generic no-fee travel credit cards. It competes directly with the Capital One® VentureOne® Rewards Credit Cardand Barclays Arrival™ World MasterCard® as a no annual fee travel credit card, with a focus on earning points that best be used on statement credits towards travel. Review: Is the Blue Sky Worth It? Blue Sky From American Express Review: Is It Worth It? The no fee counterpart to the Blue Sky Preferred, the standard Blue Sky Amex has a flat rewards structure with 1 point awarded for everything you buy. Where most other generic travel rewards cards usually have points or miles worth exactly 1 cent each, the Blue Sky points are each worth 1.33 cents. (You can redeem 7500 points for a $100 statement credit: $100 / 7500 = 1.33 cents) Effectively this gives the Blue Sky Card a fixed 1.33% rewards rate on all your spending, provided that you use your awards for statement credits on travel. The card's current welcome bonus offer is for 7,500 Blue Sky Points provided that you make $1,000 in purchases in the first 3 months. As we mentioned this is the equivalent to $100 towards any existing travel expense. Overall the 1.33% and $100 bonus make it a competitive no fee travel card but there are some options that can generally perform better. As to the question of whether the Blue Sky is worth it, we should look at no fee competitors to see how the card fares. The Capital One® Quicksilver® Cash Rewards Credit Card for instance guarantees you 1.5% cash back on all purchases, both a higher rewards rate and greater flexibility when it comes to getting your money back. The closest card to the Blue Sky is the Capital One® VentureOne® Rewards Credit Card which also has a flat rate rewards structure. Instead of 1 point per dollar spent, the Capital One® VentureOne® Rewards Credit Card offers 1.25 miles per dollar with each point worth 1 cent. The Capital One® VentureOne® Rewards Credit Card also currently awards 10x miles on purchases made through hotels.com/Venture. This promotion ends January 31, 2020. Effectively this yields a long term rewards rate of 1.25% (except at Hotels/Venture promotional page) vs the Blue Sky's 1.33%. When it comes to the bonus offers however, the Capital One® VentureOne® Rewards Credit Card's is significantly larger with 20,000 miles worth $200 dollars in statement credits that you get after making $1,000 in purchases on the card within the first 3 months. That is double the value of American Express's offering. With the very small difference in spending rewards, you'll need to spend a lot to make up the extra value from the Capital One® VentureOne® Rewards Credit Card's bonus. As for the Barclays Arrival™ World MasterCard® the comparisons are a little tougher to make. Unlike the flat rate structure of the Amex and Capital One offerings, the Barclays Arrival™ World MasterCard® rewards you with 1 point on most spending and double points on specific categories. You receive double points on travel and dining, and one point per dollar on all other spending. Additionally, the Barclays Arrival™ World MasterCard® has a bonus worth $200. If your spending is tilted towards dining and travel, the double points from both of these other cards will probably outperform what you would expect from the Blue Sky. On the other hand for someone with broader spending that may not qualify for double points, the 1.33% rewards rate on the American Express offering will come out on top. Our Verdict: Is it Worth Getting? Judged purely on the value of the rewards it provides, the Blue Sky is situated in a pretty tough spot. On one side the Capital One® VentureOne® Rewards Credit Card and the Capital One® Quicksilver® Cash Rewards Credit Card will generally provide better savings for broad spending categories, while the Arrival performs better on budgets weighted more heavily towards travel and dining. The one thing going for American Express is that as a company they generally perform significantly better than the competition when it comes to customer satisfaction when measured both in surveys and in the number of complaints filed against them. It's a lot harder to make an assessment for what that is worth dollar wise but it's something you might keep in mind as to why the rewards are a little subpar. If however all you care about is maximizing your savings from using a credit card, there are probably better options available. Also keep in mind that as a no-fee card, this card and its competitors are typically good for someone spending less than $10,000 annually. Otherwise you should probably opt for a travel rewards card with annual fee like the American Express Blue Sky Preferred since the additional rewards are easily worth the extra money you spend each year.